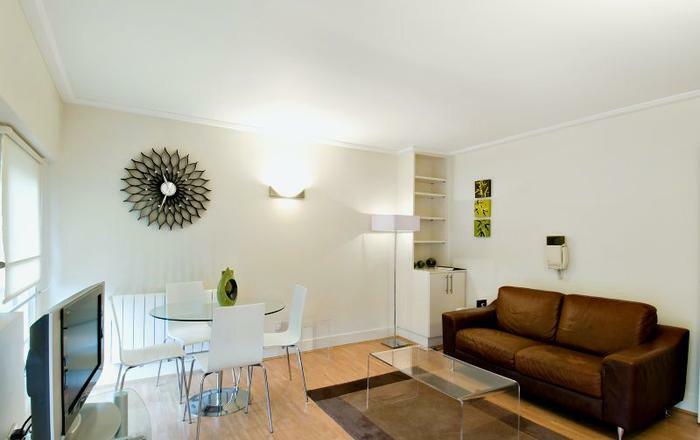 A quiet courtyard near Fleet Street in the City is the location of these natty serviced flats. Explore this richly historic part of London with the Inns of Court, St Paul's Cathedral and the River Thames close by. This is the perfect City base for leisure or business travellers. 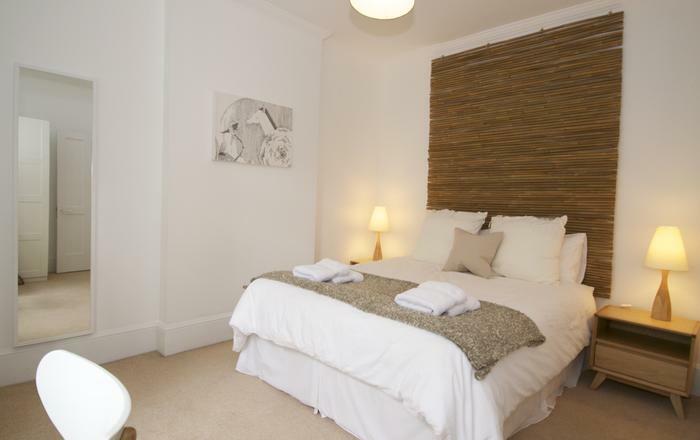 This one bedroom flat is bright and stylish with wooden flooring and good natural light. There is a comfortable seating area with sofa and armchair, dining table and chairs. The sleek kitchen is open plan to the living area and is fully equipped including washer/dryer, dishwasher, microwave and clothes airer. The bedroom offers a comfortable double bed. The smart bathroom offers a walk in shower, underfloor heating and a heated towel rail. Quality starter toiletries and fluffy towels are provided. 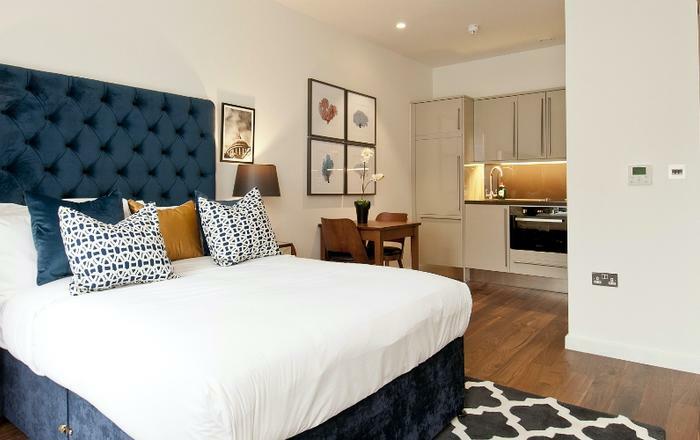 - Chancery Lane Underground - on the Central Line - under 5 minutes from the flat - travel zone 1. - St Paul's Underground - on the Central Line - under 7 minutes from the flat - travel zone 1. - The building has a lift. 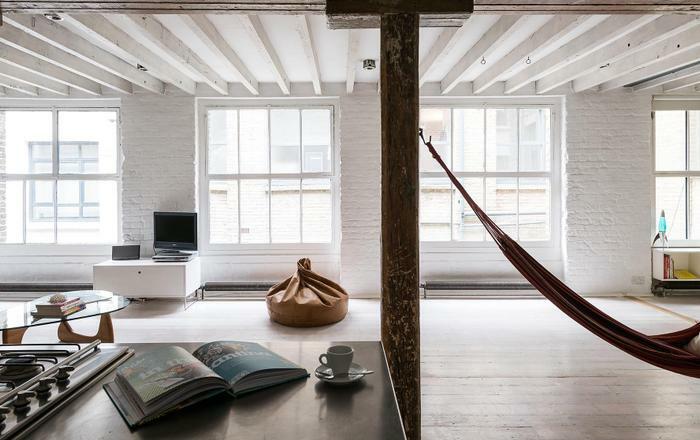 - This short let London home sleeps two people in a double bed. 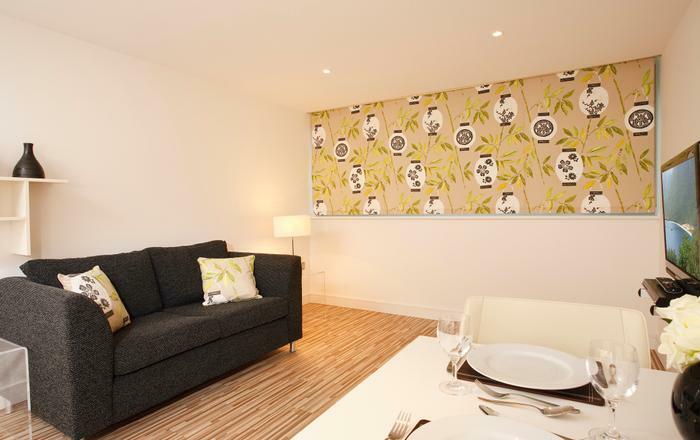 - There are several flats in the building making it convenient for group bookings. - A weekly clean and linen change is included for stays of 7 nights or more.